The city of Aalst in Belgium is divided by the river Dender but has no relationship with the water. 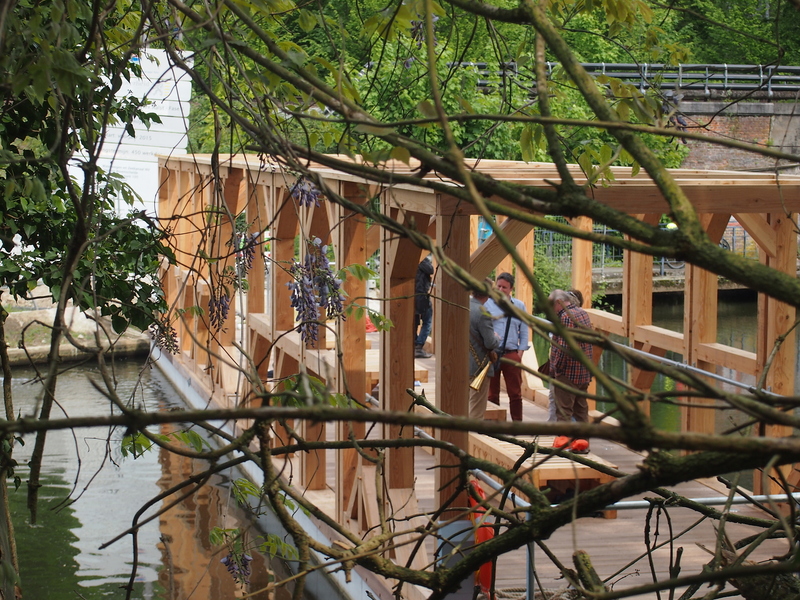 Until now, with the work of Dutch public art collective Observatorium who have crafted a pontoon so the community can engage with the river. Art as a driver of social change lies behind the work of the four artists of Observatorium. From “Waiting for the River”, the habitable zigzag bridge that has been reopened as part of Essen European Green Capital 2017 to Zandwacht, the sculpture where sand is collected and built up as a dune, these artists influence the way people see and experience any given place. 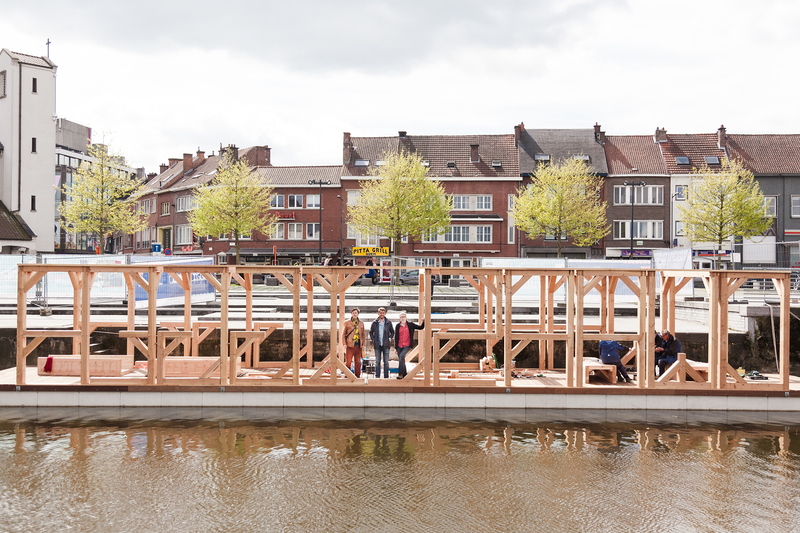 This is also true for Dwarsligger, a 9-tonne wooden pontoon that is as long as the Dender river is wide, so when it is positioned crosswise, it turns into a floating bridge connecting the riverbanks in the Belgian city of Aalst. Observatorium completed this in collaboration with the city council of Aalst and Netwerk Center for contemporary art as part of an urban renewal plan to bring the city and its communities closer to their river, which is cut off from their lives because it is hard to access and mainly used for industry. Following the logic of the Dutch collective's gentle art of place-making, Dwarsligger - which means “railway sleeper” (but also “fractious”, sort of reflecting the nature of the Aalst inhabitants) - not only connects the two banks of the Dender at places where they have always been seperate, but because it floats, it becomes a kind of pontoon that can be used to explore the city, seeing from the the aqua incognita. Andre Dekker, an artist from Observatorium and bridge keeper for the first three weeks of Dwarsligger kept a logbook about the adventures of the floating structure and the experiences of the users; it has been decorated with drawings by Gent-based Belgian artist, Rose Moens. The response of the people was so positive that now City Hall is receiving lots of requests to privately use Dwarsligger as a location for parties, events etc. The artistic work of Observatorium has once again showed just what art can bring to cities in transition because now that a close relationship with the Dender river has been created, the community wants to keep it, forcing the local government to do something more - to the benefit of both the inhabitants and the sustainability of the city. Social Housing in Vitoria-Gasteiz, European Green Capital.